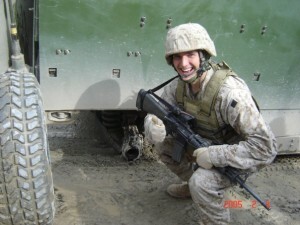 Paul Szoldra joined the Marines in 2002. Following recruit training and the school of infantry, he was assigned as an 0341 Mortarman to Marine Corps Base Hawaii where he joined Weapons Company, 3rd Battalion 3rd Marines. In 2003 he deployed on the 31st Marine Expeditionary Unit. In November 2004 he deployed to Operation ENDURING FREEDOM in Afghanistan, returning in June 2005. In 2006 Szoldra transferred back to the School of Infantry as a Combat Instructor. He left the Marines in 2010 and graduated in 2012 from The University of Tampa with a degree in Entrepreneurship. He is currently the West Coast Editor for Business Insider Magazine, as well as the creator of the military satire page Duffel Blog.